According to statistics, back pain affects up to 80% of Americans and is considered one of the top reasons for absenteeism at work. Annually, 50 billion dollars is spent in medical bills to cure back pain. Runners who run on hard surfaces are vulnerable to back pain. One of the easiest solutions is a back brace. We have put together five of the best back braces to choose from. First of all, let us identify some of the most common back pains faced by runners. The BraceUp is unique in that it has a dual adjustment system that allows you to customize the fit. The extra bands enable you to tighten or loosen the brace to provide support for different issues. If you are looking for something to fit your various back problems, this may be a good solution. The AidBrace back brace support belt is designed to provide relief for those suffering from lower back pain. If you have back issues and want to continue your workout routine, this is a good brace to use. Its design makes it easily hidden underneath your daily clothes. This is another elastic adjustable back brace that is designed to relieve lower back pain by reducing strain. If you want something that is easy to use, the Velcro fasteners featured in this brace may be what you are looking for. This back brace is made from polypropylene and has rubber track webbing. It is stretchable and weighs only 7.2 ounces. It is an elastic support ideal for people with lower back problems. If you simply want to give your back extra support, this is a good option. The ComfyMed back brace has a removable lumbar pad which allows you to experience a high degree of comfort. It is ideal for daily use and can be a good option if you suffer from muscle spasms, scoliosis or sprains. 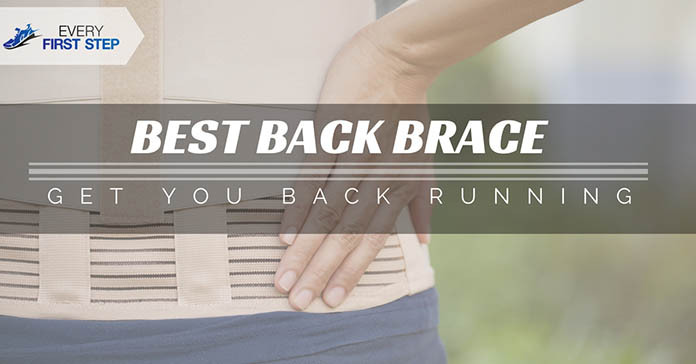 If you are looking for an all around back brace that offers ample support while allowing for movement, the BraceUP Stabilizing Lumbar Lower Back Brace and Support Belt may be a good choice. It offers great support while not hindering your back in any way. On the other hand, if you have more severe back problems, the AidBrace Back Brace Support Belt - Helps Relieve Lower Back Pain is designed for this. It can help combat common lower back problems and is also comfortable to use. The choice you make will be purely a personal one and depend on your individual circumstances. Always remember to consult a physician before making any decisions. Selecting the wrong kind of support may only cause more problems. Also, it is crucial to get the right sized brace for it to be effective. Using a wrong size will not do any good and may even make matter worse. Did you enjoy this article? Which brace have you found to be most useful? We’d love to hear your ideas in the comments below so please share your thoughts. If you know someone who suffers from back problems, share this with them. For runners, lower back pain is the most common problem faced. The pain happens because your lumbar vertebrae take the bulk of your weight as you run. Different kinds of back pain can be manifested in a variety of ways. If you are able to address them at an early stage, you may be able to prevent them from becoming too serious. Running doesn’t work your glutes and hamstrings but focuses on your hip muscles. The force can cause your back to arch excessively leading to back pain. The solution for this is strengthening your glutes and hamstrings. A simple exercise is putting your hips on the edge of your bed and then leaning over with your abdomen flat. Make sure you have your feet firmly planted on the floor. Then, bend each leg to a right angle allowing it to relax. This can come about if you don’t do any core workouts aside from running. Since your abdominal muscles support your back, weak muscles can cause back pain. In order to avoid this, do exercises that strengthen your abdominal muscles. A sample exercise is bending your knees to a 90-degree angle while you are lying face up with arms underneath your back. This helps contract the ab muscles. Rough terrain such as pavements strains the knee, hips, and lower back. In addition, if you run with your body at the wrong angle can cause an imbalance and trigger lower back pain. If you have the habit of hitting the road after warm up, this may be the cause of your back trouble. Instead of sticking to concrete pavements or rough roads, try and give your feet a break with some soft terrain. Treadmills and grass trails are some examples of softer terrain. You will not only save yourself from back problems but will get stronger legs. The arch on your feet is there for a big reason. It helps act as a shock absorber which takes away pressure from the foot each time you hit the ground. Those with flat feet suffer back problems because they lack an arch to absorb the shock. There is no physical way to cure this condition, and the best option is to get tailor designed shoes. Balancing exercises such as standing on one leg barefoot for up to thirty seconds without wobbling can also help. Depending on the severity of your back pain, a physician may recommend that you start using a back brace. There are two main types of back braces- corset or elastic braces and rigid braces. This is the kind of brace that helps limit the movement of your back by not allowing forward movement. With this type of back brace, you will not be able to bend forward. It is often recommended after lumbar fusion in an attempt to limit spinal movement. The advantage of this kind of braces is that it promotes proper posture. You will not be able to lift using your back but will be forced to keep your back straight. When it comes to how long you should wear a back brace, it depends on the degree of your back problems. The more severe, the more frequent you will want to wear it. ​If you initially experience back problems and these problems are relieved with the use of a brace, then use the brace as needed. One of the disadvantages of using a brace is it may cause your back muscles to weaken because of reliance on the brace. This is why you need the advice of a physical before you decide to wear any kind of back brace.